The latest Ultra Series transformation device from Premium Bandai is the Black Spark Lens from Ultraman Tiga: The Final Odyssey. Last year, Premium Bandai released Ultraman Tiga’s Spark Lens to celebrate the show’s twentieth anniversary. They are following up that release with the Black Spark Lens, a version of the device from the sequel film, The Final Odyssey. Taking place between Ultraman Tiga and Ultraman Dyna, The Final Odyssey reveals Tiga’s original “Dark Tiga” form. 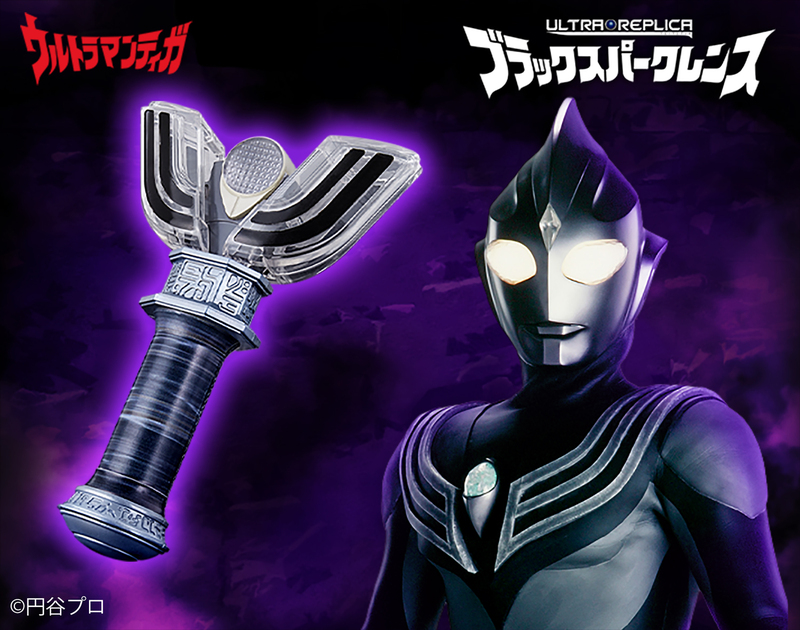 The Black Spark Lens comes with its own stand, and can light up to reflect the powers Dark Tiga uses in the film. The Black Spark Lens is seeing a limited release of 3000 units. Pre-orders for the device open today, and the item is expected to ship in November of this year. Order the Black Spark Lens here.